If you are looking for powerful commercial vehicle for sale to keep up with your Chicago business, you can turn to specialists at Badger Truck & Auto Group. From, the Ram Chassis Cab to the Ford Super Duty to the Isuzu FTR and NPR, you’ll find it here. 2018 Ford Transit 250 High Roof Van, 148 Inch Wheelbase, Oxford White Exterior, Pewter Vinyl Interior, XL Trim, 3.7L TIVCT V6 Engine, 4.10 Limited Slip Axle, Power/Heated Long Mirrors, Complete Vinyl Floor Covering, 9000 GVWR, Reverse Park Aid, AM/FM Stereo Single CD W/ SYNC, Cruise Control and 2 Additional Keys. At Badger Truck Center, we are a truck dealership with sales representatives who have extensive truck knowledge and can help you build and price the truck your business needs. Call us to get started. Please note that pricing does not include eligible Incentives, Rebates, or Bonus Cash. 2017 White F750 Regular Cab Dock With 182 Inch Wheelbase, Steel Gray Interior, 50 Gallon Fuel Tank, Rear Seat Delete, Argent Grille, AM/FM Radio W Clock, 6.8l EFI Na V10 Gas Engine, 6 Speed Auto Transmission, 6.50 Axle Ratio, Voltmeter, RF Marker/Clearance Lights, Trans Power Take Off, Frame Rails, Jump Start Stud, Body Builder Wiring, Auxiliary Switch, Front Suspension, 12v Battery, Rear Spring Suspension, Rear Shock Absorbers And Daytime Running Lights. At Badger Truck Center, We Are A Truck Dealership With Sales Representatives Who Have Extensive Truck Knowledge And Can Help You Build And Price The Truck For Your Business Needs. Call Us To Get Started. Please Note That Pricing Does Not Include Eligible Incentives, Rebates, Or Bonus Cash. 2018 Ford Explorer Platinum 4wd, White Exterior, 20 Inch Bright, Machined Wheels, 3.5l V6 Ecoboost Engine, Floor Liners Front/Second Row, and 2ND Row Bucket Seats. At Badger Truck Center, We Are A Truck Dealership With Sales Representatives Who Have Extensive Truck Knowledge And Can Help You Build And Price The Truck For Your Business Needs. Call Us To Get Started. Please Note That Pricing Does Not Include Eligible Incentives, Rebates, Or Bonus Cash. FORD F550 WITH A 12'6" FLATBED IS YOUR WORK TRUCK SOLUTION AND IS READY TO ROLL TODAY! This 4x4 Diesel Chassis Cab with DRW, Oxford White Exterior, Medium Earth Grey 40/20/40 Vinyl Seats, 6.7L Power Stroke Engine, 4.88 Ratio Limited Slip Axle, 169 Inch Wheelbase, XL Trim, Payload Plus Package Upgrade, Power Equipment Group, Telescoping Tilt Power/Heated Mirrors, XL Décor Package, Platform Running Boards, Less Tire Inflation Monitor, 19500 GVWR, Snow Plow Package, Trailer Brake Controller, Jack, Sync Voice Activated Systems, Xl Value Package, Cruise Control And AM/FM Stereo MP3/Clock has been upfitted with Pine Floor Flatbed with 40" Weld On Bulkhead, ICC Bumper, and Safety Package. At Badger Truck Center, We Are A Truck Dealership With Sales Representatives Who Have Extensive Truck Knowledge And Can Help You Build And Price The Truck For Your Business Needs. Call Us To Get Started. Please Note That Price Does Not Include Eligible Incentives, Rebates, Or Bonus Cash. 2019 White F550 Chassis Cab With Medium Earth Gray Interior, 169 Inch Wheelbase, XL Trim, Power Heated Mirrors, Jack, AM/FM Stereo MP3/Clock, Sync Voice Activated Systems, Platform Running Boards, 6 Speed Auto Transmission, 6.7L Power Stroke V8 Diesel Engine, 4.88 Ratio Limited Slip Axle, 19500 GVWR, Trailer Brake Control, Cruise Control, Snow Plow Package, Trans Power Take Off Provision, 40 Gallon Aft Of Axle Fuel Tank And A Dual Extra Heavy Duty Alternator. At Badger Truck Center, We Are A Truck Dealership With Sales Representatives Who Have Extensive Truck Knowledge And Can Help You Build And Price The Truck For Your Business Needs. Call Us To Get Started. Please Note That Pricing Does Not Include Eligible Incentives, Rebates, Or Bonus Cash. 2019 White F250 Supercab Pickup With Medium Earth Gray Interior, 164 Inch Wheelbase, XL Trim, 6.2L EFI V8 Engine, 6 Speed Automatic Transmission, 3.73 Electronic Locking Axle, Platform Running Boards, 10000 GVWR, Spare Tire And Wheel, Trailer Brake Control, Heated Power Mirrors, Jack, Cruise Control, AM/FM Stereo Mp3/CLK And Sync Voice Activated Systems. At Badger Truck Center, We Are A Truck Dealership With Sales Representatives Who Have Extensive Truck Knowledge And Can Help You Build And Price The Truck For Your Business Needs. Call Us To Get Started. Please Note That Pricing Does Not Include Eligible Incentives, Rebates, Or Bonus Cash. 2018 White Transit 350 LR Van With 148 Inch Wheelbase, Pewter Interior, Xl Trim, 3.2l I5 Diesel Engine, 6 Speed Auto Select Shift Transmission, 3.31 Ratio Regular Axle, 9250 GVWR, Back Up Alarm, Reverse Park Aid, Trailer Tow Package, Trailer Wiring Provisions, Long Power Heated Mirrors, 2 Additional Keys, AM/FM Microphone Bluetooth, Cruise Control, Dual Heavy Batteries, Trailer Brake Control, Dual Illum Sun Visors, 4x Front Full Range Speakers, And Complete Vinyl Floor Covering. At Badger Truck Center, We Are A Truck Dealership With Sales Representatives Who Have Extensive Truck Knowledge And Can Help You Build And Price The Truck For Your Business Needs. Call Us To Get Started. Please Note That Pricing Does Not Include Eligible Incentives, Rebates, Or Bonus Cash. 2018 White Transit 250 LR Van With 148 Inch Wheelbase, Pewter Interior, XL Trim, 3.7L TIVCT V6 Engine, 6 Speed Auto Select Shift Transmission, 3.73 Ratio Regular Axle, 9000 GVWR, Reverse Park Aid, 2 Additional Keys, Cruise Control, 4x Front Full Range Speakers, And Complete Vinyl Floor Covering. At Badger Truck Center, We Are A Truck Dealership With Sales Representatives Who Have Extensive Truck Knowledge And Can Help You Build And Price The Truck For Your Business Needs. Call Us To Get Started. Please Note That Pricing Does Not Include Eligible Incentives, Rebates, Or Bonus Cash. 2019 White F550 Chassis Cab With Medium Earth Gray Interior, 145 Inch Wheelbase, XL Trim, Power Heated Mirrors, 110v/400w Outlet, Jack, AM/FM Stereo W/Clock, Platform Running Boards, 6 Speed Auto Transmission, 6.7L Power Stroke V8 Diesel Engine, 4.88 Ratio Limited Slip Axle, 19500 GVWR, Trailer Brake Control, Cruise Control, Snow Plow Package, Trans Power Take Off Provision, 40 Gallon Aft Of Axle Fuel Tank And Dual Alternators. At Badger Truck Center, We Are A Truck Dealership With Sales Representatives Who Have Extensive Truck Knowledge And Can Help You Build And Price The Truck For Your Business Needs. Call Us To Get Started. Please Note That Pricing Does Not Include Eligible Incentives, Rebates, Or Bonus Cash. 2019 White F550 Chassis Cab With Medium Earth Gray Interior, 169 Inch Wheelbase, XL Trim, Power Heated Mirrors, 110v/400w Outlet, Jack, AM/FM Stereo MP3/CLK, Sync Voice Activated Systems, Platform Running Boards, 6 Speed Auto Transmission, 6.7L Power Stroke V8 Diesel Engine, 4.88 Ratio Limited Slip Axle, 19500 GVWR, Trailer Brake Control, Cruise Control, Trans Power Take Off Provision, 40 Gallon Aft Of Axle Fuel Tank And A Dual Extra Heavy Duty Alternator. At Badger Truck Center, We Are A Truck Dealership With Sales Representatives Who Have Extensive Truck Knowledge And Can Help You Build And Price The Truck For Your Business Needs. Call Us To Get Started. Please Note That Pricing Does Not Include Eligible Incentives, Rebates, Or Bonus Cash. E450 SUPER DUTY COMMERICAL CUTAWAY WITH VAN BODY IS YOUR WORK TRUCK SOLUTION - READY TO ROLL TODAY! This 2019 Ford E350 CUTAWAY VAN with 158 Inch Wheelbase, Oxford White Exterior, Medium Flint Cloth, 6.8L V10 Engine, Limited Slip, High-Series Exterior Upgrade Package with Power Windows and Doors, Cruise Control, Power Mirrors, Instrument Panel Message, Keyless Entry is upfitted with a 15 FT Unicell Van Body with Laminated Hardwood Floor, Plywood Interior Walls, Wheel Wells, and Solid Bulk Head with Receiver Hitch and Trailer Plug for Towing. If this truck does not meet your commercial truck needs, we have the largest in stock inventory of chassis cabs. We partner with Badger Truck Equipment who has the largest inventory of flatbeds, dumps, service bodies, and snowplows on the ground as well as the technicians ready to finish your truck. We have commercial truck knowledge and can help you build the chassis AND the body to meet your business needs. Call Us To Get Started. Please Note That Pricing Does Not Include Eligible Incentives, Rebates, Or Bonus Cash. 2019 White Ford Transit 250 LR Van With 148 Inch Wheelbase, Gray Interior, XL Trim, Manual Air Conditioner, 3.5L GTDI V6 Engine, 6 Speed Automatic Select Shift Transmission, 3.51 Regular Axle, 9000 GVWR, Gray Cloth 2way Airbags, Lane Keeping Alert, Trailer Tow Package, Trailer Wiring Provisions, Long Power Mirrors, Sync 3 With Navigation, Cruise Control, 2 Additional Keys, 6 Speakers, Load Area Protection, And Complete Vinyl Floor Covering. At Badger Truck Center, We Are A Truck Dealership With Sales Representatives Who Have Extensive Truck Knowledge And Can Help You Build And Price The Truck For Your Business Needs. Call Us To Get Started. Please Note That Pricing Does Not Include Eligible Incentives, Rebates, Or Bonus Cash. 2019 White Escape With Charcoal Black Interior, 1.5L Eco Boost Engine, 6 Speed Automatic Transmission, Panoramic Vista Roof, Lane Keeping System, Adapt Cruise/Collision Warning, And Blind Spot Info System. At Badger Truck Center, We Are A Truck Dealership With Sales Representatives Who Have Extensive Truck Knowledge And Can Help You Build And Price The Truck For Your Business Needs. Call Us To Get Started. Please Note That Pricing Does Not Include Eligible Incentives, Rebates, Or Bonus Cash. 2019 Ford F150 4x2 Supercab, Oxford White Exterior, Medium Earth Gray 40/20/40 Vinyl Front Seat, 3.3L V6 PFDI, 3.55 Electronic Lock Rear Axle, 6300# GVW, Xl Series , Xl Power Equipment Group, Cruise Control, Engine Block Heater, Sync, Class Iv Trailer Hitch, Xl Chrome Appearance Package, Chrome Front/Rear Bumpers, Fog Lamps, .17inch Silver Painted Aluminum Wheels And Flex Fuel. At Badger Truck Center, We Are A Truck Dealership With Sales Representatives Who Have Extensive Truck Knowledge And Can Help You Build And Price The Truck For Your Business Needs. Call Us To Get Started. Please Note That Pricing Does Not Include Eligible Incentives, Rebates, Or Bonus Cash. 2019 White T-350 Medium Roof Cargo Van With 148 Inch Wheelbase, Pewter Interior, XL Trim, 3.5l GTDI V6 Engine, 3.31 Ratio, 9500 GVWR, Reverse Park Aid, Am/Fm Bluetooth Microphone, Cruise Control, 2 Additional Keys, 4 Front Full Range Speakers, And Complete Vinyl Floor Covering. At Badger Truck Center, We Are A Truck Dealership With Sales Representatives Who Have Extensive Truck Knowledge And Can Help You Build And Price The Truck For Your Business Needs. Call Us To Get Started. Please Note That Pricing Does Not Include Eligible Incentives, Rebates, Or Bonus Cash. 2018 White Ford F250 Crew Cab Pickup With 160 Inch Wheelbase, Gray Cloth Interior, XL Trim, Trailer Tow Packaging, 6.2L EFI V8 Engine, 6 Speed Auto Transmission, 3.73 Electronic Locking Axle, XL Décor Package, 10000 GVWR, 110v/400w Outlet, Engine Block Heater, Snow Plow Package, Spare Tire And Wheel, Trailer Brake Controller, Telescoping Power Heated Mirrors, Roof Clearance Lights, Jack, Up Fitter Switches, Extra Heavy Duty Alternator, Sync Voice Activated Systems, Cruise Control, AM/FM Stereo Cd/Clock, And Platform Running Boards. At Badger Truck Center, We Are A Truck Dealership With Sales Representatives Who Have Extensive Truck Knowledge And Can Help You Build And Price The Truck For Your Business Needs. Call Us To Get Started. Please Note That Pricing Does Not Include Eligible Incentives, Rebates, Or Bonus Cash. 2019 White Platinum Metallic Ford Escape With Charcoal Black Seats, 1.5L Ecoboost Engine, 6 Speed Automatic Transmission And 17 Inch Silver Sparkle Painted Aluminum Wheels. At Badger Truck Center, We Are A Truck Dealership With Sales Representatives Who Have Extensive Truck Knowledge And Can Help You Build And Price The Truck For Your Business Needs. Call Us To Get Started. Please Note That Pricing Does Not Include Eligible Incentives, Rebates, Or Bonus Cash. New Vehicle Specials so you can spend your business’s money wisely. Service center equipped to maintain your commercial vehicle. Ford Quick Lane allows you to bring your truck in for basic maintenance, like oil changes, without an appointment. This has proven a convenient option for busy business owners. Parts center with quality OEM parts to upgrade or repair your vehicle. Whether you are deciding on a cube van or a heavy duty truck, finding the right commercial vehicle doesn’t need to be stressful with our knowledgeable sales associates to guide you. 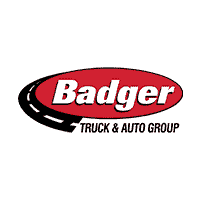 Make your drive over from Green Bay and get outfitted for your job site with a visit to Badger Truck & Auto Group.